"Geoffrey Sambrook is particularly skilled at imparting his knowledge of metal trading and the LME onto a lay audience." 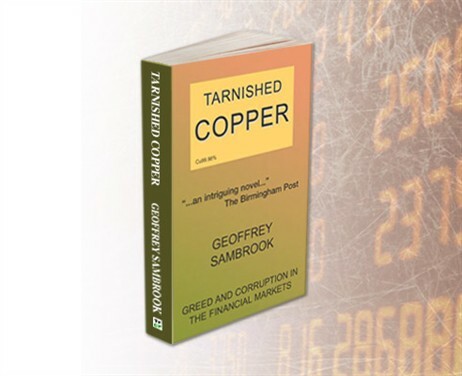 "His skill lies in building a sense of time and place in a realm in which he is particularly comfortable largely uninfluenced by such factors as location or time zones"
Tarnished Copper is a story of greed, deception and corruption in one of the most volatile of financial markets. Geoffrey Sambrook brings an insider's unique insight into the way markets can be manipulated for profit. Tarnished Copper is a story of market manipulation. Set against the backdrop of the London Metal Exchange, one of the most volatile financial markets in the world, the characters chase their dream of riches from London to Hong Kong to New York to Tokyo to the Alpes Maritimes. Although the book is fiction, I have tried to make the plot realistic, in the context of how the commodity markets work. The characters are greedy and unprincipled – maybe a reflection of the fact that in most businesses there are no heroes? In my mind as I wrote the book were the two major (there have been many minor) market games during my career – the International Tin Council, and the Sumitomo Affair, although the plot itself is clearly fictional. ... "a thought-provoking take on how a scam could take place on the London Metal Exchange copper market. " ... "an intriguing novel... a bunch of operators on the London Metal Exchange who conspire with a trusted Japanese trader." Like to read an extract from Tarnished Copper? Victor Lansky is a rich, successful man. But when he's approached by a Russian offering the chance of billions of dollars, how can he resist it? He's drawn into the circle of shady industrialist billionaires, fixers and ultimately politicians as well. Somebody is going to die, before this is over. 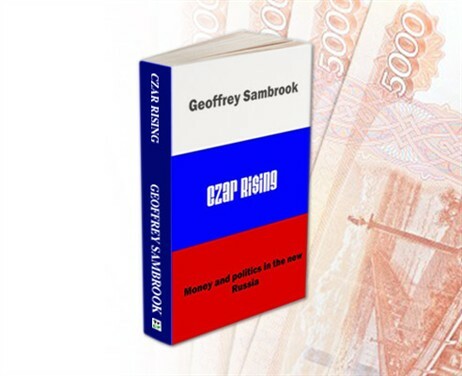 Czar Rising is a novel set against the background of the aftermath of the break-up of the Soviet Union and the grab for resources and money that ensued. The catalyst to the action is the availability at a knockdown price of an aluminium smelter in a Siberian gulag city. Given the bankrupt nature of the country at the time, foreign investment has to be brought in. But on what terms, and at what cost? The story follows the British (actually half-Polish)investor as he faces up to the reality of what he has got into. The rules are different from what he is accustomed to and he gets in over his head, in the end no more than a pawn of the unscrupulous. The politicians are involved as well, as the stakes escalate for both Moscow and London. "This strong grasp of the language and dynamics of business and negotiation, the tightly-wound plot and the fictional depiction of the aluminium wars of the 1990s combine here in Sambrook's book to highly readable effect." Like to read an extract from Czar Rising?